There are definitely two separate schools of thought when it comes to NFL Preseason Betting Strategy. Many bettors shy away from the sport, not wanting to risk their money on a bunch of players who are unlikely to be in the league when the regular season begins. Other bettors believe that a careful NFL preseason betting strategy can offer some solid betting opportunities. Coaches will often announce how long they plan to play their starters, while other teams have a decided edge in quarterback rotations. A team playing an NFL veteran in the fourth quarter has a decided advantage against a team that is playing a free agent. Whichever NFL Preseason Betting Strategy you subscribe to, it’s important to take note of a reversal in trends over the past few seasons in relation to the percentage of time the underdogs cover the point spread or the favorite covers the number. Between 2008 and 2011, favorites were generally poor bets, going just 112-133-12 against the number, which translates to 45.7%, but over the past three seasons 104-86-4, which is 54.7% and are 4-3 through Thursday’s games so far this season. Other trends have also seen a bit of a shift, as home underdogs were 52-31-3 (62.7%) between 2003 and 2010. Since 2011, home underdogs have done a disappointing 13-24-2, which is just 35.1%. The biggest mistake bettors make in regards to preseason betting is to look at it as a whole instead of looking at each week individually. Another older system that hasn’t fared well in the last three seasons is the underdog of six or more points. After going 30-19 between 2003 and 2011, the big underdogs have gone just 9-9 over the past three seasons. 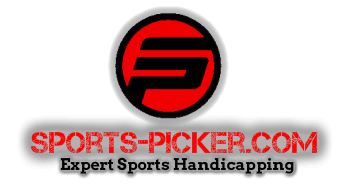 But a bettor who breaks the preseason down into individual weeks would see that large underdogs have a solid 8-3 record in Weeks 3 and 4 and are just 1-6 in the first two games of the preseason. Other trends tend to follow suit as most NFL coaches have their routine down pat regarding the NFL preseason. Starters typically play very little opening week and will likely get a few more plays in the second week. Most coaches will use the third week of the preseason as a final tune-up for the starters and often the first unit will play until halftime and not play at all in the fourth game, which also yields certain point spread tendencies, such as Week 3 favorites of 5.5 points or less being 27-14-1 against the spread since the beginning of the 2011 preseason. Another important area to note in NFL preseason betting strategy is to look at the totals. For the most part you will find that the posted totals are much lower for the preseason, often as low at 36-39 points. This is often due to the fact that the best starting offensive players will get limited action to avoid the chances of injury. If you can find information on which teams will be sitting their starters for the majority of the game, you can build an NFL preseason betting strategy around total under bets in the preseason. Due to the lower number of points scored in preseason games, Teasers become more valuable. If you are betting a 6 point teaser on a game with a total of 36, those 6 points become more valuable than in a game with a total in the 50s. For more information on NFL teasers check out this article. If you’re going to bet the preseason, be selective and pick and choose your spots. The vast majority of games are essentially going to be a crapshoot, where the deciding factor is simply luck. But there may be a few games where you can find an edge by looking at past trends, what the coaches have to say in relation to how long the starters will play and which quarterbacks are going to see the most playing time, and line movement. Those who wait until they have several factors in their favor are much more likely to come out ahead in the preseason than those who bet games just because it’s the NFL.